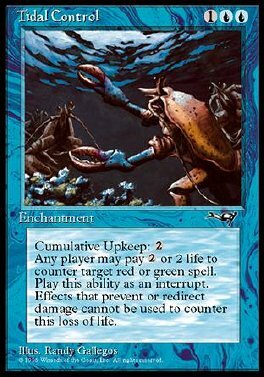 Cumulative upkeep 2 2: Counter target red or green spell. Any player may play this ability. Pay 2 life: Counter target red or green spell. Any player may play this ability.